A simple dish that showcases the some of the best of summer produce. Perfect as a side dish or over pasta! Simply Summer! 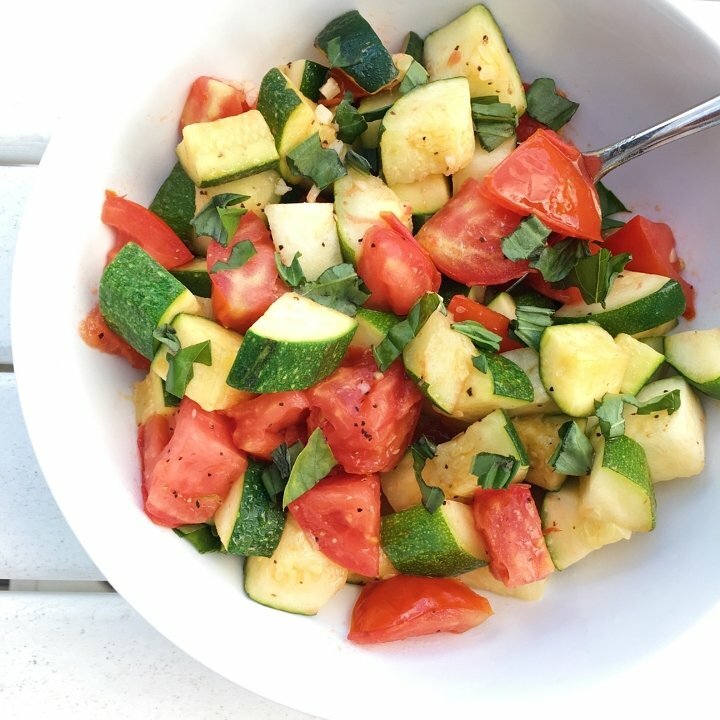 Farm fresh diced zucchini and Jersey tomatoes sautéed in with chopped garlic and EVOO, then topped with fresh basil. This easy dish is equally good as a warm side dish or served over pasta. Either way it’s a quick and delicious taste of summer. 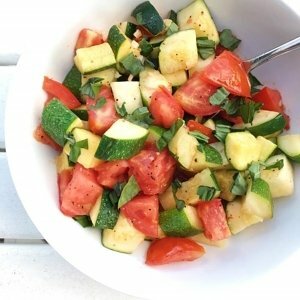 A quick and easy dish that showcases summer produce and is equally delicious as a warm side dish or served over pasta. In a large saute pan, heat 2 tbsp olive oil over medium-high heat. Add zucchini and cook for 7- 10 minutes or until starting to soften, stirring occasionally. Add tomatoes and cook another 8-10 minutes or until both zucchini and tomatoes soft and tender. Serve warm as a side dish or over pasta.